Xiaomi, along with xiaomi Mi AirDots Pro wireless earphones, has unveiled its new xiaomi mijia mi table lamp pro in China. It has a price of 349 yuan ( $ 51) and has started selling through Xiaomi Mall and Tmall since January 11th. 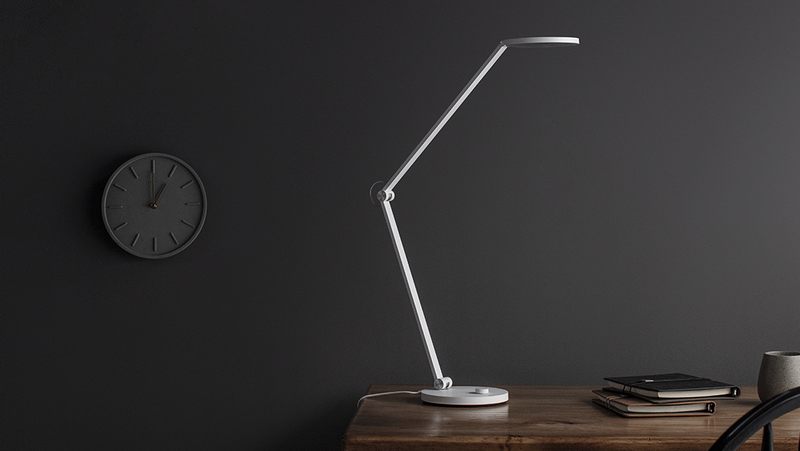 The xiaomi mijia mi table lamp pro comes with a three-stage customizable body design, the company claims to have been approved by TUV Rhein Eye Comfort Certification Germany for safety. In addition, it has the same design of a smart LED bulb lamp, which won three International Design Awards - the iF Design Gold Award, the Japan Design Award and the Red Dot Award. It offers a wide range of light and supports color temperature and intelligent brightness adjustment. It also has smart connectivity features that enable users to control smart home devices. The xiaomi mijia mi table lamp pro has a 116 mm LED environment and claims to have twice the brightness of the desktop lamp. The company says the device uses a conventional Detection Stroboscope instead of dimming PWM for dimming. It also supports a variety of lighting conditions that can be adjusted according to different conditions to ultimately reduce eye fatigue and protect vision. Additionally, Xiaomi claims that the light bulb can produce a high-power light, and the color is nearly sun-tinted and produces the original color seen under the blue sky. 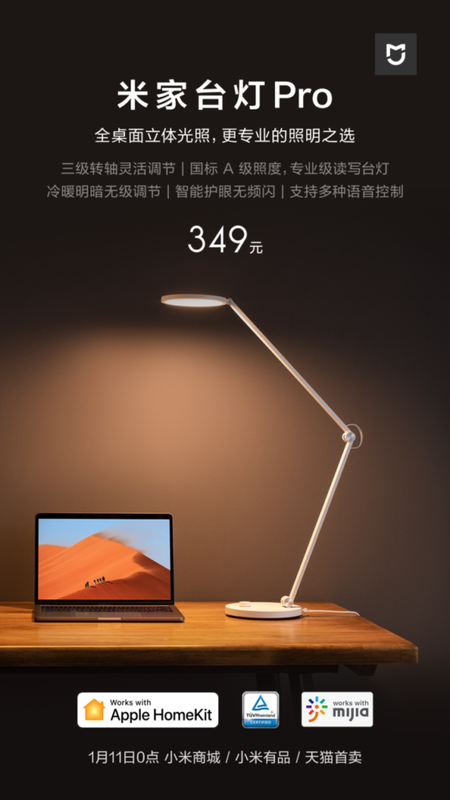 Due to the trilogy design of the body, the xiaomi mijia mi table lamp pro can lift up to 66cm and reach the maximum diameter of the 125-cm radius. xiaomi mijia mi table lamp pro can be controlled via Mijia and Apple Home. To connect, it supports Wi-Fi and Bluetooth and can easily be connected to other smart home devices through the Mijia application. Since it also supports Apple HomeKit, it can be controlled using the Apple Home app as well as Siri on the iPhone, iPad, Apple Watch and Mac.